1. 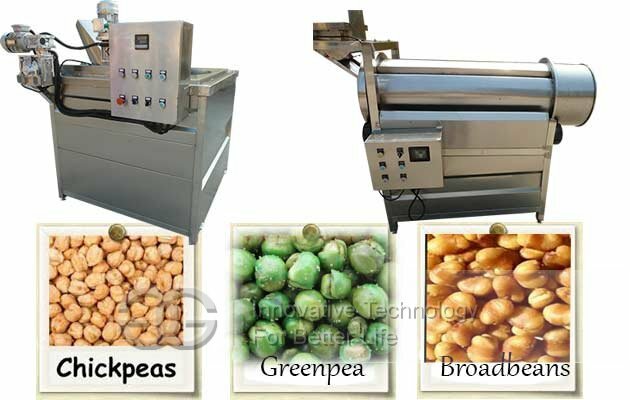 Chickpeas frying machine: This is made of SUS304 stainless steel. 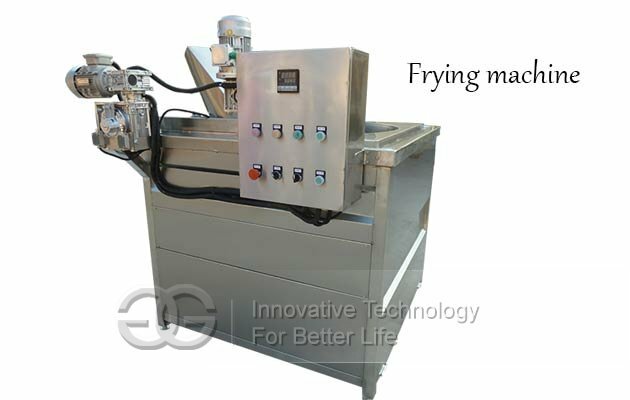 This frying machine can be made to be gas heating and electric heating. For gas heating type, it needs to add the burner and the gas pipe. Thus the cost and the size of gas model will be bigger. 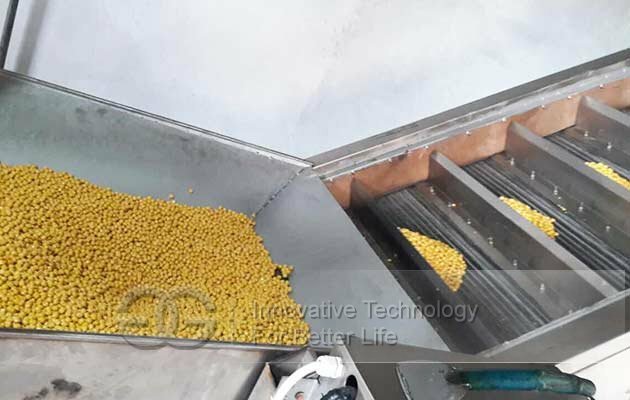 Adopts advanced oil water separation technology, which can save oil 50%, save power 40%. 2. 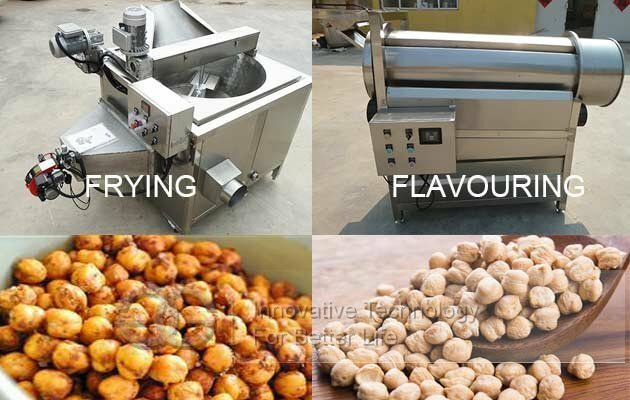 Drum flavouring machine: This drum type flavouring machine also is applicable to a wide range can be used for all kinds of extruded snacks, puffed snack, fried snack, fried nuts, pet food , fish feed and fried snacks in seasoning and coating oil and sugar. 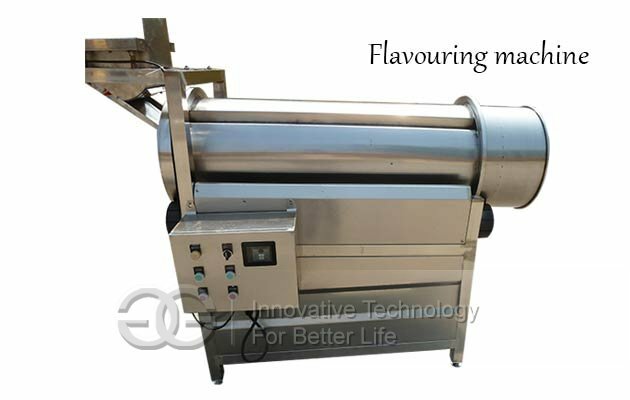 There is a flavoring quantity control device on the roller to make sure flavor spread evenly on snacks.